Home › Energy Efficiency › Is Bamboo Plywood An Eco-Friendly Option? Is Bamboo Plywood An Eco-Friendly Option? For consumers on a mission to surround themselves with eco-friendly building materials, they may be excited about bamboo products. The first question posed is, “Why is bamboo plywood eco-friendly?” The answers may surprise you. For far too long bamboo has been considered by suburban homeowners to be a pesky weed that takes plenty of elbow-grease to keep at bay. 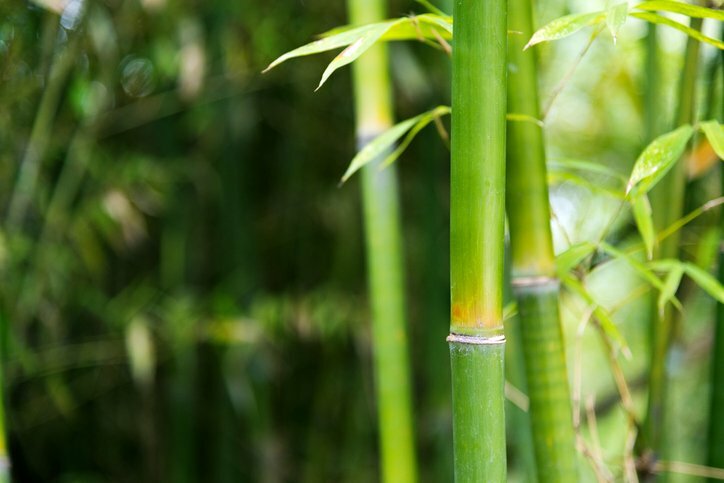 The very reasons that make bamboo so hardy on the outskirts of a lush, well-manicured lawn are the same reasons it is one of the most sustainable products on the market today. 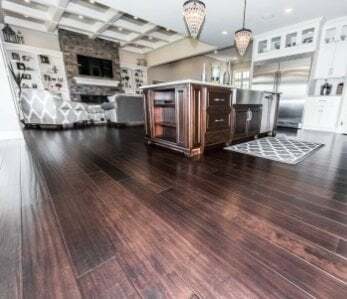 Some of the most commonly used tree species that have traditionally been used in hardwood flooring or plywood paneling have been oak, cherry, and walnut. How sustainable are the tree farms that provide these building materials as compared to bamboo? A highly productive and efficient tree farm can produce about 400 sawn board feet of timber per acre. A 12′x14′ room has 168 square feet of flooring area. That requires about 232 linear feet of flooring material. 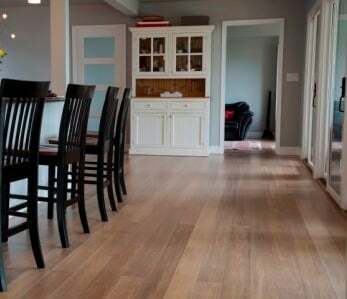 Compensating for flaws and waste, it is easy to see that it takes nearly a single acre of oak trees to produce enough material to complete a flooring project for a single room. Forestry experts report that, in the hardwood industry, out of about 870 seedlings planted per acre, only 300 will mature into a quality that is usable in the wood manufacturing industry. A single oak, with a diameter of 24 inches and height of 80 feet, is considered prime harvest material for crafting the timber into a hardwood building product like plywood. On average, an oak only grows between 1/4 inch-1/2 inch in diameter annually, the height growing in ratio to the tree’s diameter growth. This means it takes decades, in fact, close to a century, for a single, mature harvested oak tree to be replaced. Also, consider that a mature oak tree produces about 2,000 acorns each year. It sounds like a single tree can reproduce prolifically. That is until you learn what arborists know. Only one, single acorn out of about 10,000 will successfully germinate and grow to maturity. And it takes about 20-40 years before an oak tree produces its first season of acorns. Bamboo farms feature about 9,500 plants per acre. 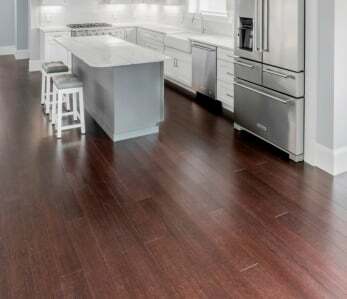 Although actually a grass and not a tree, popular varieties of bamboo used for flooring can reach a full height of 40-80′ within the first year of growth. Bamboo is then left alone for about 2-4 years to fully mature and thicken to a diameter of about 6-8 inches. As to a usable product, bamboo yields about 25 times more usable product than traditional hardwood trees. That means it takes less than one-quarter of an acre of bamboo to create the flooring material for that 12′x14′ room an acre of oaks was required for. It is easy to see that a bamboo farm is much more sustainable than a hardwood tree farm. But what about the overall impact on Mother Earth? Is there more to bamboo being eco-friendly than simply regenerating more rapidly and requiring less product to create a plywood panel as compared to traditional hardwoods? The full scope of bamboo is nothing short of amazing for green consumers. An annual harvest of a naturally regenerating plant from a root system means cultivating a crop that does not require re-plowing a field. This reduces a farm’s carbon footprint. 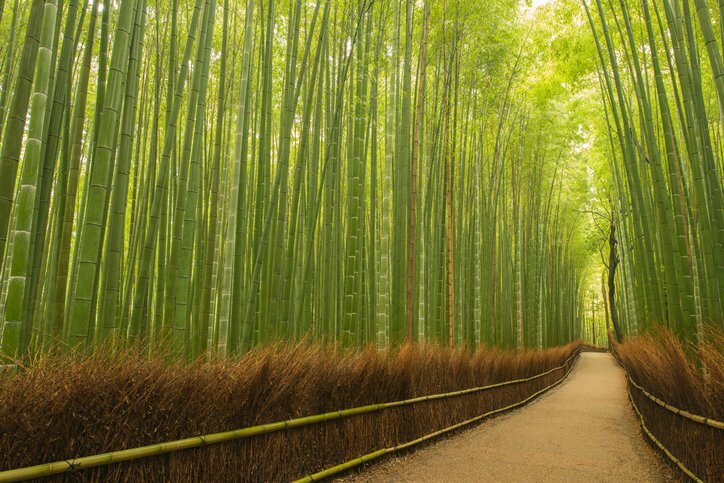 An established bamboo grove prevents soil erosion and maximizes water retention. This enhances water conservation quality. An annual harvest of a sustainable crop that is self-regenerating produces 25 times more usable material than hardwoods. This reduces consumption of hardwoods which means conservation of forested lands, enlarging a vital green resource that functions as a carbon reducer. As a bamboo grove prevents soil erosion with its massive root system, it reduces water run-off. In essence, as a sponge that protects the watershed, a bamboo grove becomes a filter that removes toxins from the soil and water. A bamboo grove helps clean up a polluted environment and protects animals, humans, and plants in close proximity from water-borne contaminants. An acre of bamboo produces 35% more oxygen than an acre of hardwood trees. An acre of bamboo filters out of the atmosphere 4 times more carbon dioxide than an acre of hardwood trees. Bamboo is 100% usable, even for dietary consumption. Bamboo shoots feed millions of people every year. Bamboo is naturally pest resistant. Unlike a hardwood forest, a bamboo crop grows greener since it does not require pesticide applications. Destruction of under-vegetation during harvest. Clearing under-vegetation contributes to soil erosion which can adversely affect the watershed. Destruction of under-vegetation also destroys wildlife habitat. Weed and pest control during seedling phases require applications of herbicides and pesticides. Consumer research groups report that 87% of consumers have concerns about the environmental impact of their product choices and desire eco-friendly options. However, only 33% of consumers are actually buying green products. The main problems standing in the way of going green? Accessibility and cost. 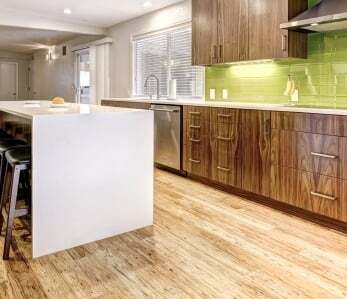 When it comes to an easy-to-find and affordable alternative to traditional hardwoods, bamboo delivers. Easy To Source: Builders and interior designers all across America report that bamboo plywood is trending as the eco-friendly hardwood alternative option. Demand has resulted in bamboo products being widely available. Easy To Work: Bamboo plywood is easy to mill with the right woodworking machines. 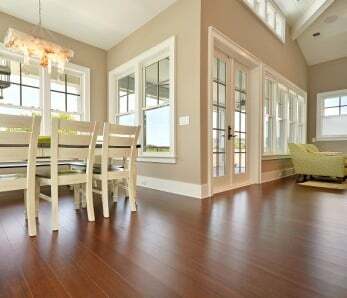 Easy maintenance similar to that required for hardwoods. Strand woven bamboo plywood sheets are than popular hardwoods. when compared to hardwoods. For example, bamboo outperforms hardwood in humid environments such as bathrooms. Products with emissions within the California Air Resources Board (CARB) standards are safest. Households interested in maintaining the highest air quality standards in their home, as well as minimizing their own contribution to Earth’s air pollutants footprint, should look for the CARB stamp of approval. The Leadership in Energy and Environmental Design (LEED) is a national rating system established by the US Green Building Council (USGBC). Comprised of leaders and innovators throughout the building industry, this certification assures the latest technology and design standards for enhancing the sustainable design of today’s building materials. So what’s holding you back from your next eco-friendly purchase? Contact a and explore the many options of the greener alternative, bamboo.